Debate over how law enforcement and government agencies should combat encryption on modern devices has been ongoing for years now. 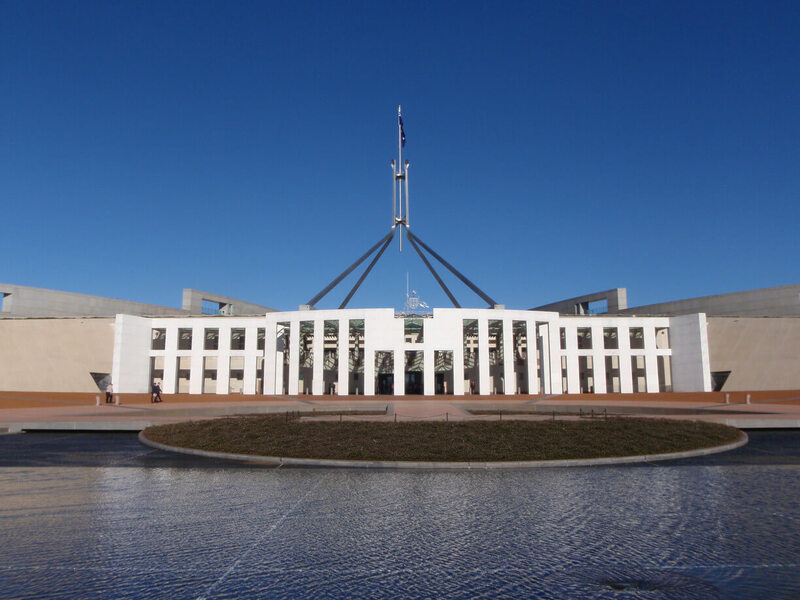 In a surprise move, Australia's parliament passed a bill that requires technology firms to provide access to encrypted data. Any business failing to hand over data within a specified time period can face fines of up to $7.3 million. Prison sentences can also be given to any individual that refuses to hand over data that is believed to be connected with illegal activities. As part of the Five Eyes intelligence alliance, Australia is the first to take action after all alliance members have made statements indicating that malicious actors are finding ways to communicate privately. Parliament members have attempted to justify the new legislation by saying it is necessary to fight organized crime and prevent militant attacks. Google, Facebook, Apple, Microsoft, Amazon, Twitter, and many more renowned tech companies have all voice intense opposition to the newly passed bill. A statement made by Digital Industry Group Inc., a coalition where many of the top tech businesses are members, reads "Several critical issues remain unaddressed in this legislation, most significantly the prospect of introducing systemic weaknesses that could put Australians’ data security at risk." Even though Australia is not requiring that firms provide decrypted data, a feat that should not ever be possible, there is no safeguard in place to prevent an amendment from adding such a troubling clause. As cloud computing services continue to grow, it only becomes that much easier for an organization with plenty of money available to try and circumvent encryption measures in place. On the flip side, mobile devices that are often a target for governments are being packed with native hardware encryption and stronger algorithms. In reality though, mobile devices still are not very secure when physical access is available. This is demonstrated time and time again at pentesting events that offer bug bounties and also by data recovery firms that will unlock mobile devices for relatively low cost. "As part of the Five Eyes intelligence alliance, Australia is the first to take action after all alliance members have made statements indicating that malicious actors are finding ways to communicate privately." Imagine that, those malicious actors are regarding private communications a crime. Reehahs, Clamyboy74 and JaredTheDragon like this. Knot Schure, Reehahs, Clamyboy74 and 2 others like this. If it’s well encrypted, the government shouldn’t be able to get anything out of it in the end. In a way, this will force companies to use best encryption practices. Theinsanegamer, Clamyboy74 and JaredTheDragon like this. Want it? Decrypt it yourself. By forcing a company to keep a way to decrypt people's person information on a whim, it is very easy for the same tool to get put out on the dark web. Reehahs, wiyosaya, Clamyboy74 and 2 others like this. I hope the companies encrypt the encrypted data a few times before handing it over. Theinsanegamer, xxLCxx, cliffordcooley and 2 others like this. I'd hope that tech companies just counter that by saying "okay, we just won't sell any software or hardware to you then, since we don't want to be fined" then see how long it takes for that law to get reversed. Raytrace3D, Theinsanegamer, xxLCxx and 6 others like this. Well, sounds like no more tech in Australia, let's see how they like that. xxLCxx and Clamyboy74 like this. Been like that since the NBN was taken over by the liberals. The backbone of this country is broken and simply put. We are going backwards! They are too busy fighting over "gay rights" in schools now and the amount of women in parliament. The country is in a complete mess and I personally believe they have no idea how to fix it. So instead they squabble over petty things and avoid the real issues that need fixing! It's a disgrace and a complete joke! MonsterZero, xxLCxx, Reehahs and 1 other person like this. A law states that encrypted data must be handed over, but doesn't actually require that the decrypted form of the data be handed over, just the encrypted form? I don't think the courts are going to interpret the law to mean that, even if that seems to be what it says. The containers are labelled: ILLEGAL CONTENTS: PROPERTY OF DONALD TRUMP! and, ILLEGAL CONTENTS: PROPERTY OF ROBERT MUELLER! The problem here is that even if you have the REAL Key, you can never prove it because there is this thing called "plausible deniability"
I just backdoored your backdoors! xxLCxx and Reehahs like this. Well, if it takes 10^3 years to break encryption via brute force, and apple offers to rent computer time at $10/s to break the encryption, then they technically are offering the government a way to break the encryption. Payment up front, of course. I thought that myself. How many times would it take being fined for the tech giants to back out of that offending country... imagine say, Microsoft or Google no longer offered or blocked all service/support for that country. Overnight laws would change. "Even though Australia is not requiring that firms provide decrypted data, a feat that should not ever be possible, there is no safeguard in place to prevent an amendment from adding such a troubling clause." Basically stick with companies that claim they can't break their own encryption. Like VPNS that do not keep logs. And when companies that claim they can't break their own encryption are lying? Or VPNs that "claim" they do not keep log but actually do?